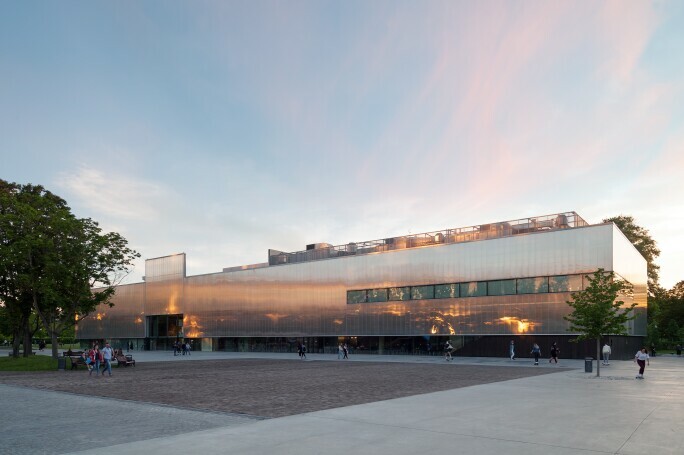 When it first opened in June 2008, the Garage Museum of Contemporary Art - then called the Garage Center for Contemporary Culture - signalled the emergence of Moscow as an international hub. Based in a 1920s Constructivist bus depot designed by the avant-garde architect Konstantin Melnikov, it quickly became famous for its jet-setting parties - Amy Winehouse headlined the launch. Since then it has become a serious player, continuing to transform urban and museum culture in Moscow and Russia. Garage was founded by Dasha Zhukova, a businesswoman, art collector and publisher, and Roman Abramovich, an entrepreneur best known outside Russia as the owner of Chelsea Football Club in London. The museum will mark its 10th anniversary in its home since 2015, a glass-walled 1960s Soviet Modernist former restaurant called Vremena Goda ("Seasons of the Year"). Situated in Gorky Park on the Moscow River, it was redesigned by the Dutch architect Rem Koolhaas and has proved a hit: this May Day holiday it was full of hip young people sipping cappuccinos and Russian viognier in the first floor cafe. Upstairs they were taking in The Other Trans-Atlantic, a retrospective of kinetic and Op Art from Eastern Europe and Latin America, and If our soup can could speak, curated by David Riff and Dmitry Gutov. This exhibition was about the Soviet philosopher of art, Mikhail Lifshitz, and The Crisis of Ugliness: From Cubism to Pop Art, his controversial takedown of contemporary art which coincided with the Soviet invasion of Czechoslovakia in 1968. Rather than basing itself on Zhukova's and Abramovich's sizeable private art collections, Garage is building up a research collection of archival materials of Soviet unofficial and Russian contemporary art, as well as mounting temporary shows. 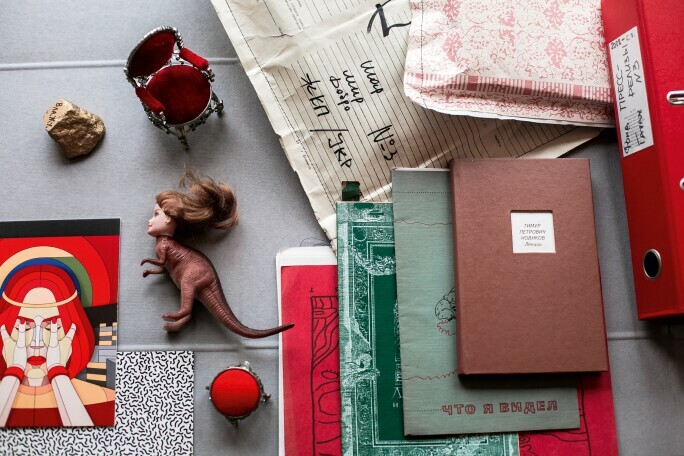 If our soup can could speak included recreations of a classroom from Moscow's 1920s Vkhutemas art and technical school, a Stalinist-era reading room, Andy Warhol's aluminum foil-lined Factory, and a 1970s Soviet artist's studio. These illustrated Lifshitz's theories, which Garage has published along with the English translation. It is part of the Garage Field Research programme, a project that solidifies the museum's credentials as a research institution. 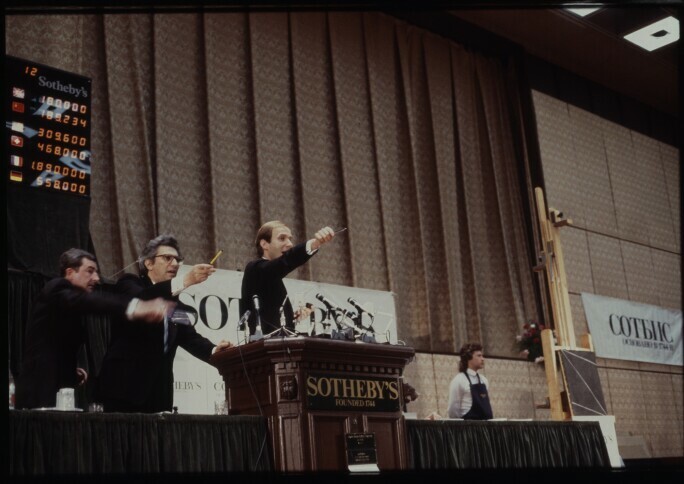 Earlier this year, in a show called Bidding for Glasnost: Sotheby's 1988 Auction in Moscow, Garage marked the 30th anniversary of a landmark Sotheby's sale that had a significant impact on the development of post-Soviet contemporary art. It was accompanied by Exhibit Russia: The New International Decade 1986-1996, a publication charting the development of art during this turbulent period. Garage has Russia's first public library devoted to contemporary art and related topics and is planning to establish a division in St. Petersburg. Anton Belov, the director of Garage, says Zhukova and Abramovich are still very much involved with the museum, and notes, "I think they are even more serious about it [than before]. We have become such a big, serious museum, an international player - it is like a full-fledged, grown child who requires a lot of attention." Belov says the founders continue to provide about two-thirds of the museum's annual budget. Solid support comes from corporate partners as well - including BMW and Uniqlo - supplemented by the museum's own earnings. 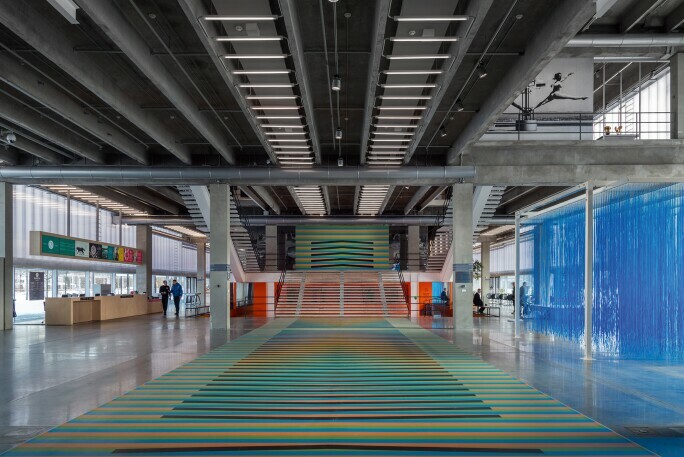 Belov says Garage has proven that "contemporary art can be interesting and important - it's possible to enter into communication with it," and that "a museum doesn't have to be boring," it can attract a young audience. Most importantly, he says, "contemporary art has started to play a very important role in the development of society." Meanwhile, Garage is increasingly active abroad. It has launched the Russian Art Archive Network with the Zimmerli Art Museum at Rutgers University in the United States and with the University of Bremen in Germany, both of which have significant Soviet and Russian art and archival collections. In April it was invited to be one of thirteen participants in the Metropolitan Museum of Art's fourth Global Museum Leaders Colloquium. Despite the international political climate, Belov says cultural diplomacy has grown stronger and the seeds of unexpected new projects were planted at that meeting. "I think it is a very important experience," says Belov. "Museums are interested in cooperation, especially at such moments. Cultural bridges must be built as quickly and solidly as possible so that people continue communicating, so there won't be divisions in society and recriminations but a common cultural agenda." In 2014 Garage had over 350,000 visitors; last year that more than doubled to 700,000, with many in the eighteen to 35 age range. This has set a template for other wealthy art collectors. In 2011 banker Alexei Ananyev opened the Institute of Russian Realist Art in a former cotton-printing factory in the Zamoskovorechye district of Moscow. 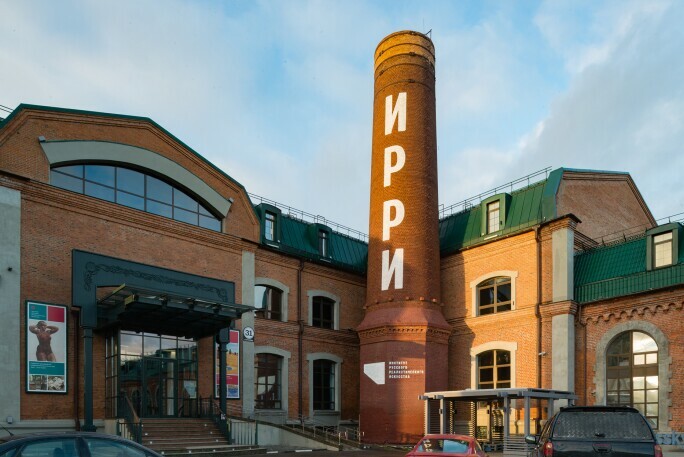 Real estate developer Boris Mints launched the Museum of Russian Impressionism in 2016 to show works by artists such as Konstantin Korovin, Igor Grabar and Valentin Serov. Leonid Mikhelson, a natural gas magnate, is meanwhile redeveloping GES 2, a landmark early-20th-century former power plant near the Kremlin. The $300 million contemporary art museum is being designed by Italian architect Renzo Piano to house Mikhelson's V-A-C Foundation. Teresa Iarocci Mavica, V-A-C's Italian director, says Garage "broke the ice and gave the local context the formidable push it needed towards a more global outlook." Garage's 2018/19 programme includes a football-themed project commissioned from German photographer Juergen Teller to coincide with the Fifa World Cup (14 June - 15 July) and the first Russian retrospective of the late Belgian artist Marcel Broodthaers. It continues to promote artists from across Russia, showcased in projects such as the Triennial of Russian Contemporary Art, first held in 2017. Garage's impact is also literally on the landscape. Belov conceived of a "museum mile" for Moscow as a kind of cultural retort to a nearby swathe of luxury housing known as the "golden mile." The project will link Garage to its immediate neighbour, the New Tretyakov Gallery's collection. They will be connected by a route that meanders along the river to the Tretyakov's main building, the Pushkin State Museum of Fine Arts and GES 2. Zelfira Tregulova, appointed as director of the Tretyakov in 2015, is eager to shake off its dusty demeanour, and quickly found common cause with Belov. 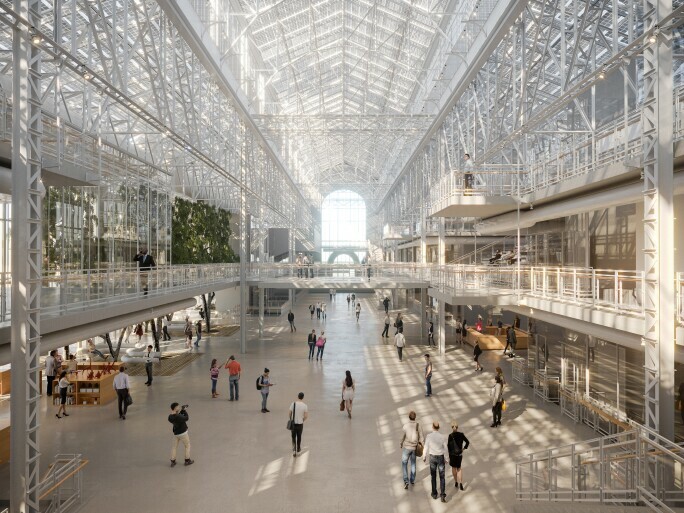 In a logical progression she has commissioned Koolhaas to redesign the New Tretyakov. 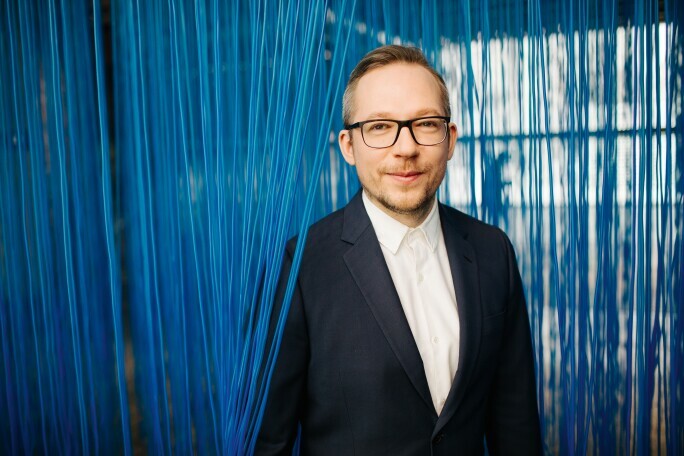 Belov is also taking his vision to VDNH, a Stalinist-era trade fairground on the northeastern edge of Moscow that is being transformed into a space for several museums. Garage is turning a building there into studios for Moscow-based artists to work alongside others from the regions and abroad. Meanwhile, Koolhaas continues to work on redesigning the 1920s Hexagon pavilion next to Garage. "We are awaiting the finalization of the concept," Belov says, but assures us it is "a very big and ambitious project." As is all of Garage.